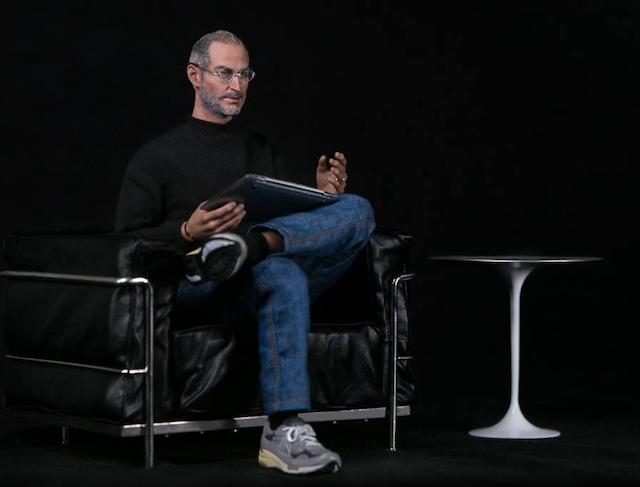 Paying homage to the late co-founder and CEO of Apple, the folks over at DAM Toys have crafted an incredibly realistic Steve Jobs figurine, complete with his signature black mock neck, blue jeans and New Balance sneakers (via The Verge). Alongside the 1/6-scale figure, DAM has also placed some more retro products alongside in the form of an Apple MAC and floppy disks. The figure allows you to manipulate Jobs into different positions, as he even comes with interchangeable hands i.e. 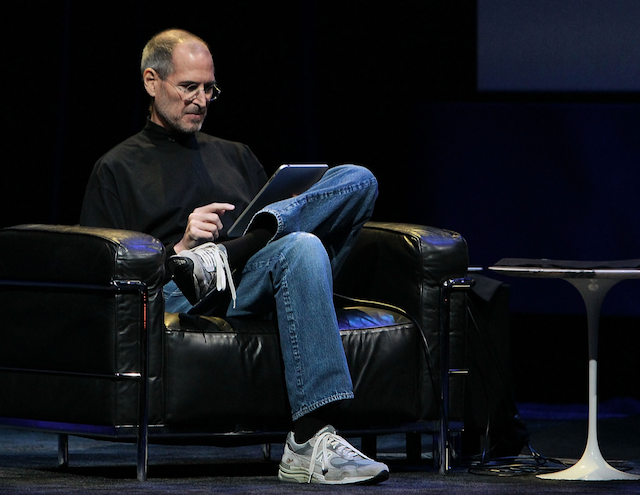 one pair of “open hands” and two pairs of the “relaxed hands” that Jobs was so famous for. 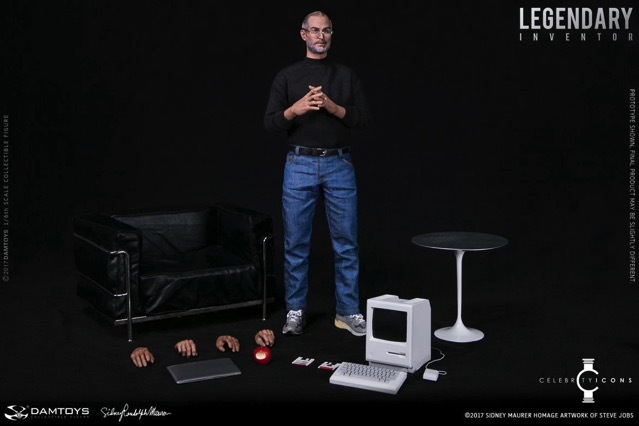 You can also made Jobs recline in the included lounge chair, or do battle with another figurine. The figurine was announced a week ago with no official release date and price, although one retailer is taking pre-orders for US $193 through December 14th and has the shipping date listed as “TBA”.